From left to right is Rieks, Jaco-Chris and Willie. 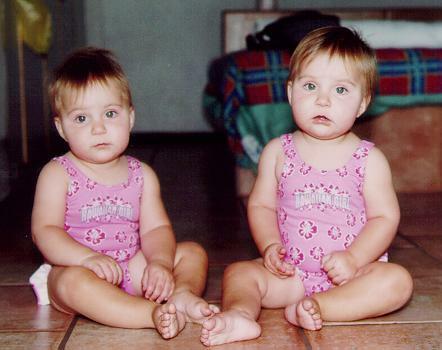 On 3 Feb 1999 our identical twin daughters were born, 7 weeks premature, changing our lives forever! Photographed here while still in the neonatal high care unit in Panorama Medi Clinic, Lumé is on the left with the pink hat and Wilrie in green. 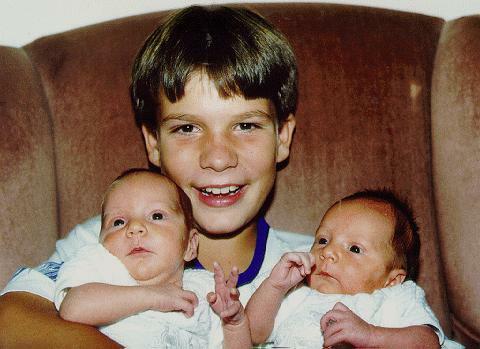 Jaco-Chris is seen here, proudly holding his sisters when they were 1½ months old. 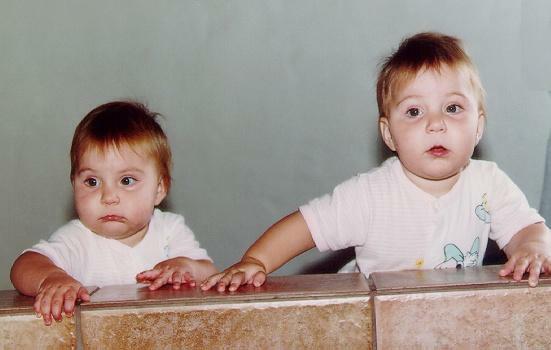 Lumé is on the left again with Wilrie on the right. Practically 1 year old and ready for a swim in the warm waters of Goudini Spa. Wilrie left and Lumé right.